There is an ancient story, of a sorceress who lived deep within the waters of an enchanted lake and guarded with her presence a sword which Destiny had decreed would be used for the salvation of mankind, or for its downfall.But the sword did not always live in the Waters…And before it was struck in stone to await its fated bearer, the sorceress and her prince imbued the blade with its magic and its fortitude.In the kingdom of Gouldaria, those without magic are the lowest of casts one can fall in, unless you are a Soul Eater, and then you are worse by far.Valislava never used her magic to steal a soul. She has kept herself hidden, allowed herself to be shunned, lived in exile, all but for the love of the one man who she couldn’t have.Prince Talyessin always knew who and what his Isla was, and he loved her still. But love was a meaningless thing when war threatened to tear them apart. Beautiful addition to the Never Lands SagaAndi Lawrencovna writes such beautiful books, they’re almost like reading poetry. Forevermore is no exception. With a dark, romantic story, and a high-stakes adventure, Ms. Lawrencovna has added another beautiful addition to the Never Lands Saga. I’d definitely recommend this book to anyone who loves fantasy books.PS It really isn’t necessary to read the other Never Lands books, as Forevermore can definitely be read as a standalone novel. PLEASE BE KIND AND WRITE A REVIEW, THANK YOU! 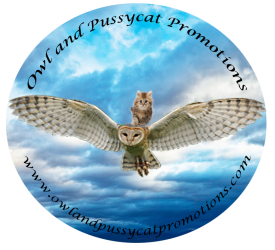 Previous PostPrevious IF YOU HAVE A BOOK YOU WANT PUBLISHED, SOUTHERN OWL PUBLICATIONS IS THE COMPANY YOU WANT IN YOUR CORNER! !